never not dreaming: Second time round. A simple solution to most of our sophisticated problems, right? Do more of what makes you happy. If you like watching films, watch them. If hiking makes you happy, do it. Maybe it's knitting, painting, sculpting or simply skipping that puts a smile on your face - it doesn't really matter. As long as it makes you happy. Of course I am about to question it (like anything in life, I even question questioning sometimes) with these words: but is there a limit? If you know me you might as well remember that I love running. Running makes me happy. Definitely. It all started when I was unintentionally inspired by the love of my life (before he turned out to be the love of my life) when I saw how happy it made him. Seeing him grabbing his black coffee and a sweet sticky Danish pastry after a morning run just gave me the idea that there's nothing wrong with putting your left foot in front of the right at a steady pace. Moreover, it clearly would give him a glow and make his smile even bigger. So I kind of secretly started doing so as well. It took me a while (due to the fear of being called a copy-cat) before I admitted it during one of our long-hours text conversations by asking about the time he normally would complete a lap around our local park in. Now I kind of regret it. The reason being (I've always voluntarily admitted to being competitive), ever since I couldn't get the idea of my joy being defined my time out of my head. Obviously, the more you are into something the better you want to become. The hours spent learning a foreign language, the C++ course you paid for, the flowers you planted in your back garden - we all want to see results. And not just to post them on Instagram but to reward ourselves. There's very few more amazing things than seeing yourself progress. In anything. But there's absolutely nothing more discouraging than not seeing yourself progress. Not to mention regress. And the problem usually is that the better you become the slower the progress. Be it in exercising, dancing, drawing or playing the guitar. At the beginning things are happening quickly. A week makes a huge difference and you feel that you can move mountains, make plans to shift the extra 2 lbs or play Bach's Cello Suite No 1 in G Major as smoothly as the master himself. It happens. But then, to my surprise, it becomes so much harder (if not impossible) to become... better. So what happens when you stop becoming better? What happens when you hit the plateau? This morning I was one of the 10 000 women running around Victoria Park in London trying to establish a new personal best. But I didn't. Admitting (just to yourself) that you didn't run faster than last year is so painful and takes the whole joy of the very act of running away. I am the happiest runner when I do not measure anything. When I just go, face the world with no sports watch, no running app. Just me versus the road. Why do we spoil it for ourselves? 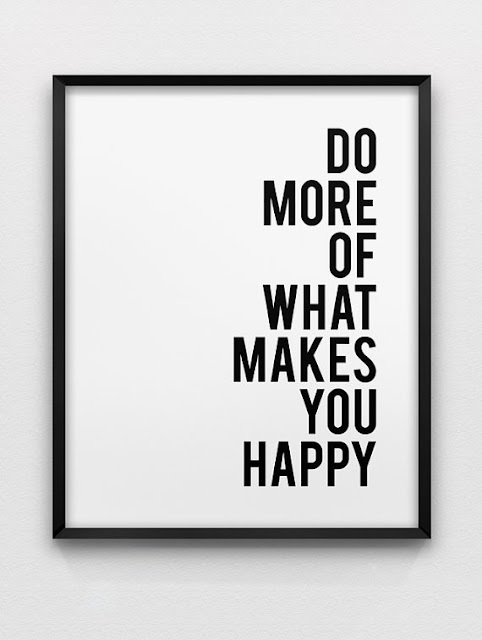 Is there a point when doing more of the thing that makes us happy starts making us unhappy? At the point when I'm nearly 30 and should at least be ever so slightly resembling an adult I still find joy in simple things that never stopped making me laugh. For the last 29 years (or maybe 27 since I only learnt to perform them at a certain age) I have been the happiest when eating ice cream, jumping on my bed (despite my mum telling me not to) and blowing bubbles. I think I'll stick to that and put my sports watch away for a while.